UPDATED: Not unexpectedly, test results on the 31 cases in Port Said have come back indicating seasonal flu, not H5N1 (See youm7 report Health Directorate in Port Said declares negative cases of suspected bird flu). Meanwhile, this morning Arabic media is reporting of another suspected case in Sohag. While I won't blog each individual suspected case, we in Flublogia will have our eyes on them, and I will report when positive cases are either probable or confirmed. Egypt, which last winter and spring saw the largest outbreak of human H5N1 (160+ cases & 51 deaths) on record (see EID Dispatch: Increased Number Of Human H5N1 Infection – Egypt, 2014-15), is also well known for holding their bird flu outbreak information very close to the vest. Press freedom being what it is (or isn't) in Egypt (ranked #158 out of 180 countries) local media is often reduced to printing generic cautionary stories about bird flu, regurgitating outdated MOH updates, and sometimes printing reports of `suspected cases', often followed by official denials. 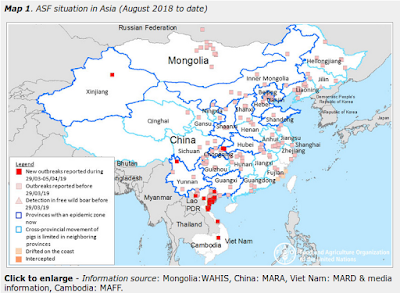 Last March, when the FAO and the WHO and FluTrackers' H5N1 case counts were all approaching 100, and 40 deaths, local media was still reporting `The virus has killed over a dozen this year alone, according to Health Ministry figures.' 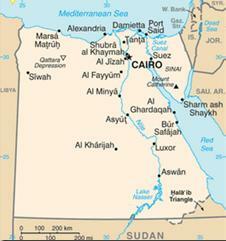 (see Egypt: The Operation Was A Success, But . . . .). All of which makes relying on either the MOH or local media for timely and accurate reports on Egypt's H5N1 situation problematic It is for that reason I don't automatically post Arabic media reports that are `iffy', even though they may well be true. FluTrackers, however, finds, translates, and catalogues dozens of these reports each week, and while their bona fides may be suspect, they can often indicate a trend. This is typical. On both our 2014 and 2015 H5N1 lists there are cases below the line (in the notes section) which were announced by various governorate departments of health but never confirmed by the MoH and sent to WHO. In clear conflict, between the various sectors of health, about the bird flu, the Department of Health announced in Giza, the presence of eight confirmed cases of the disease, from among 347 suspected case, while the Ministry of Health confirmed the lack of monitoring any situation. Dr. Mohamed Azmi, Undersecretary of the Ministry of Health and Population tomaintain, in a report presented to Dr. Khaled Zakaria al-Adly, the governor of Giza, got it «gateway», that this statistic since last September, and so far, and it has been recovering only two, and the rest 6 cases are still under treatment until Tmathlhm healing. This comes with Dr. Amr Qandil, assistant said Minister of Health Affairs Preventive Medicine, said the ministry, did not monitor any cases of injury, or the death of bird flu, since last June to today. He said Assistant Minister , he told the «gateway», that the ministry has taken several measures of will prepare to deal with any cases of infection or the spread of the disease. One official says 8 cases of bird flu, another denies . . . . a vignette we've seen played out many times before in Egypt. Hence the need for Caveat Lector when dealing with any of these reports. Today we've another report - one that has been growing larger in scope over the past 24 hours - that started with roughly 10 suspect cases - and now with as many as 31 people reportedly being tested. This is flu season, and there are a slew of other viral infections that can mimic flu, so H5N1 is neither the only possible diagnosis, it isn't even the most likely. Particularly given the large number of suspect cases. Medical source, Directorate of Health in Port Said, said 31 people were being treated for fever hospital on suspicion of contracting bird flu. The source added that the cases suspected of being infected with all of the villages plain area Tina, and wait for the result of analysis to prove the statement disease bird flu or cases of severe cold. It was Dr. Adel Teilb, Undersecretary of the Ministry of Health in Port Said, asked citizens to go to the nearest hospital if you feel symptoms satisfactory are similar to seasonal influenza disease. lifted Port Said hospitals in the state of emergency to the maximum score to receive the cases, by the analysis of samples by a factor of central Ministry of Health in Cairo. We'll keep an eye on this (and other reports), and while this one may prove a false alarm, no one will be surprised if we see another surge of human H5N1 in Egypt this winter.